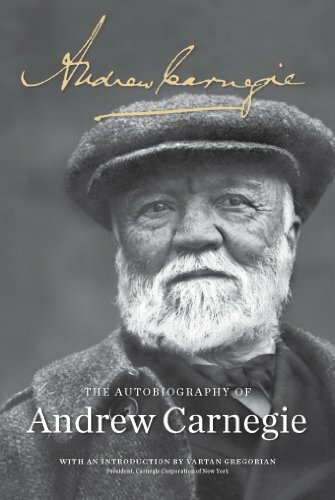 Andrew Carnegie, the great steel-baron-turned-philanthropist, was an industrialist unlike any other. His famous dictum, that he who dies rich dies disgraced, has inspired a generation of twenty-first-century philanthropists to follow in his footsteps and put their money towards philanthropic causes. He had an unwavering belief in distributing wealth for good, and systematically and deliberately gave away the bulk of his riches throughout his lifetime. Born in 1835, he emigrated with his family to the United States from Scotland at a young age. His first job was in a cotton factory, and he later worked as an errand boy. The industrial age brought great opportunities for Mr. Carnegie. With drive and hard work, he amassed a fortune as a steel tycoon, and by adulthood the errand boy was one of the richest and most generous men in the United States. A strong dedication to giving back guided him throughout his life and career. During his own lifetime, he put his ideas into action by creating a family of organizations that continue to work toward improving the human condition, advancing international peace, strengthening democracy, and creating social progress that benefits men, women and children both in the United States and around the globe. Here, in the reissue of the classic autobiography that has inspired generations, is the rags-to-riches tale of the life and philosophies of one of the most celebrated industrialists and philanthropists in history. 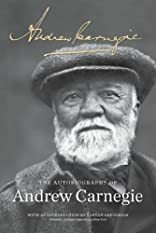 From his humble beginnings as a poor Scottish immigrant to his immense success in business, Andrew Carnegie outlines the principles that he lived by and that today serve as the pillars of modern philanthropy.